Guillermo Del Toro has been hinting at ideas for a sequel to his giant robot versus kaiju flick Pacific Rim for a while now. Thursday night it was announced that Legendary Pictures has committed to making a follow-up, and they have scheduled a release date for April 7, 2017. "The characters I love will return," del Toro told BuzzFeed in an exclusive new statement. "Raleigh, Mako, Newt, Gottlieb and who knows, maybe even Hannibal Chau - but we are taking them into a fresh territory that will display amazing sights and battles. The first film set the stage and now we're ready to have a blast." Despite a mixed reception from fans and critics the first film did moderately well, taking in $411 million globally. And with Godzilla taking in $478 million to date clearly folks are still interested in movies with giant monsters in them. Especially in China, where they are just eating this stuff up. In no other territory do these big monster movies do better than China. Pacific Rim took in $111 million during its run and Godzilla is currently sitting around $69 million. Del Toro will work on the new script with Zak Penn (The Incredible Hulk and X-Men: The Last Stand). As the production was just announced there will be no word yet on casting. Universal will distribute the film in 3D and Imax. 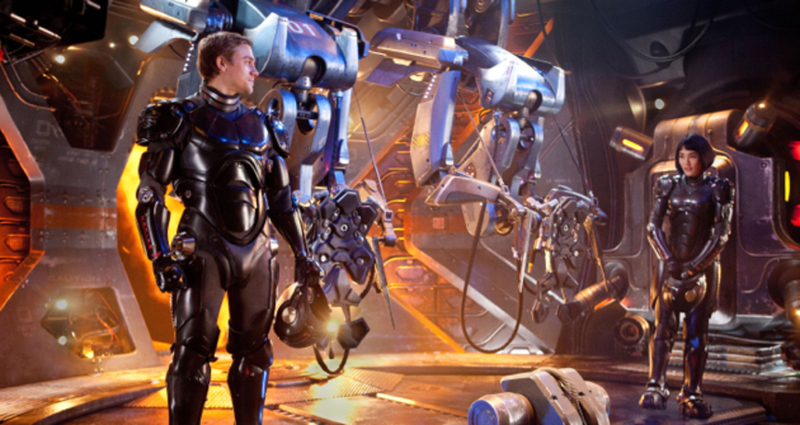 So now that the official word is out, what do you want out of Pacific Rim sequel? Other than the expected snarky remark, "Don't make it at all". This one's for lovers of the first film. What do you want to see Del Toro and Co. do with the sequel? to your dearest ones on Rakhi to brighten up their moods through the online shopping sites to any part of USA. Sending Online Rakhi to USA at Low Price is a very easy and simple process. Man, the number of "no fun" police out for this movie surprises me. I loved it, cliche and all. The designs and family fun approach were a godsend after the dark n dreary decade of Dark Knights.